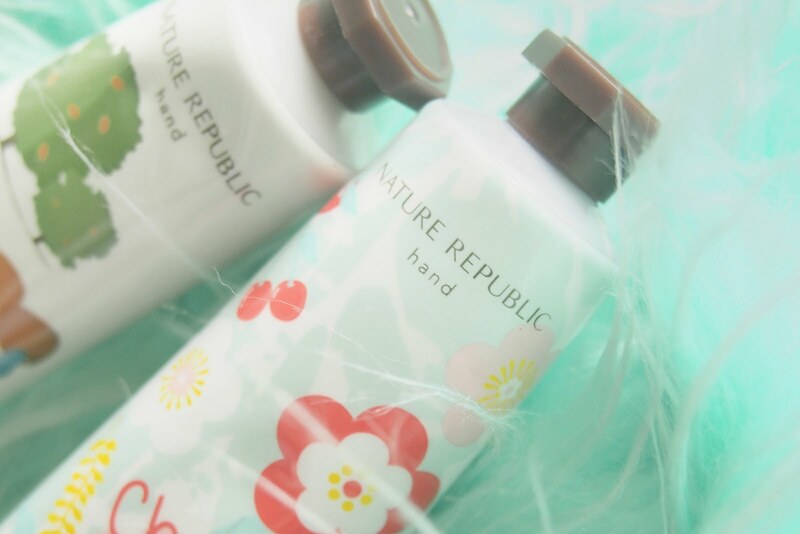 Nature Republic is a South Korean cosmetics brand that may not be as loud as other Korean beauty brands. I have heard about Nature Republic before but it wasn't until my mom and I entered the shop in ATC that I got try out some of their products a.k.a testers. I didn't buy anything though but my mom on the other hand saw few hand creams on the racks, which was also B1T1 ( buy one take one ) sale btw. I don't know what does hand creams have but my mom is into them, well she likes to give them as gifts. 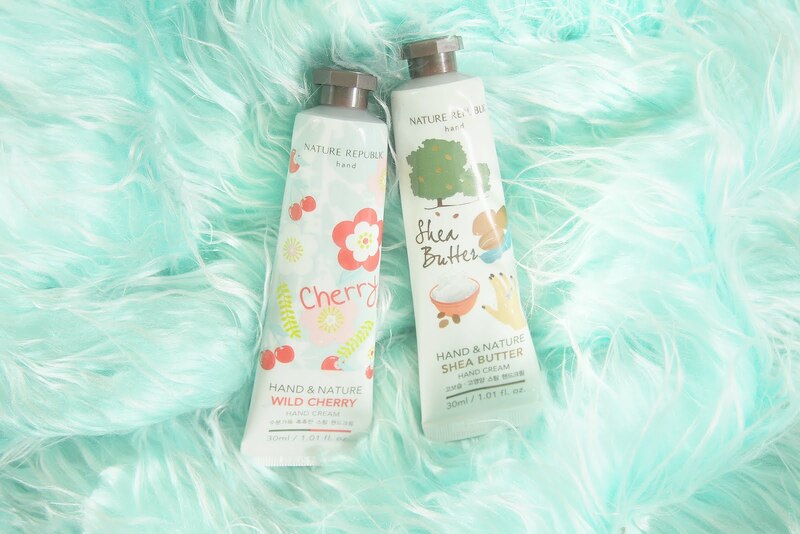 And so she bought these lovely hand cream in tubes. Okay, one of these two lovely looking hand creams might be given as gift. So I'll be testing out the Shea Butter instead. 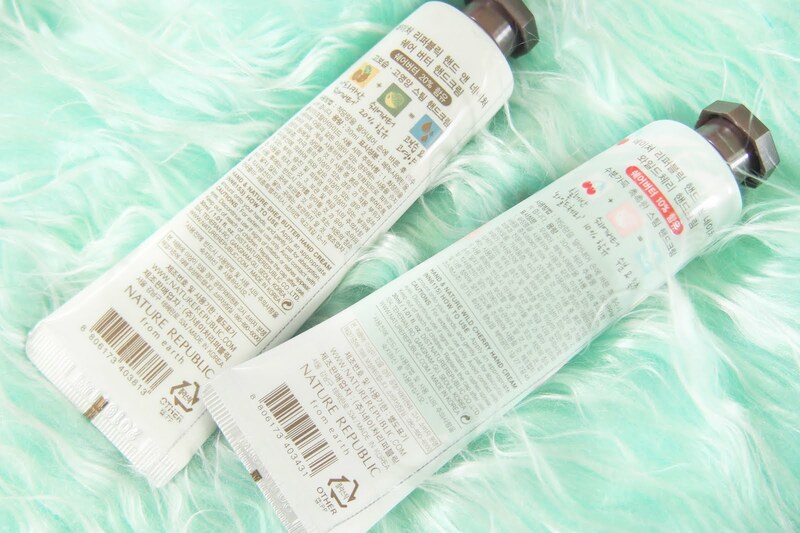 Firstly, I like how most hand creams come in this tube type 'toothpaste-shaped' container, it helps to seal in the cream and it doesn't make a mess on the tip. I liked how the tube is decorated with nice & cute illustrations as well. The moment I opened the cap, I was captivated! It smelled really good. It had a thick consistency, it's almost gel-like but not too much. 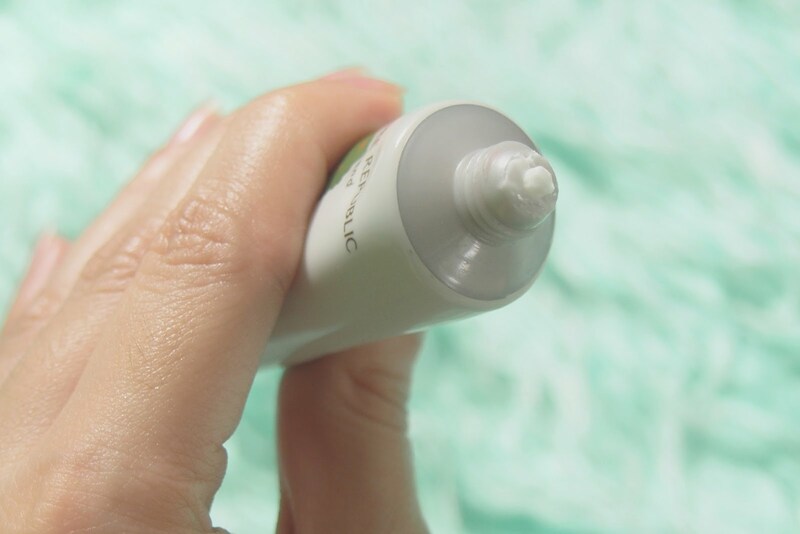 I can't put into words the effect I had on my skin after applying the hand cream, but my hands were smooth after. It ended up being sticky & greasy on my skin at first, coz I applied more than I should. 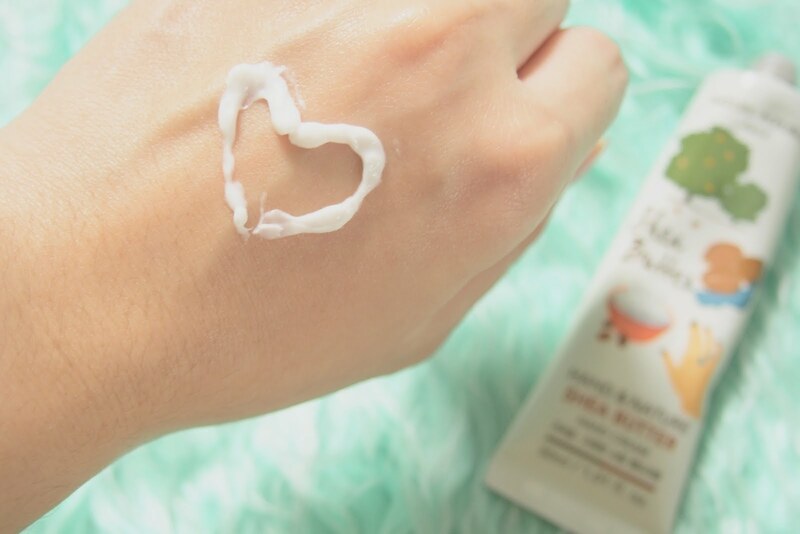 So when I use the hand cream, I make sure I apply a small amount on my hands so it doesn't end up too oily. I used to skip hand creams and such.. Well, hand creams are actually one of the product I usually forget to apply more often until now but ever since I learned from my Lola how important it is to apply hand creams I started using it and try my best to apply every now and then. This hand cream from Nature Republic isn't the first one I've tried but it will definitely be something I would purchase and keep using. I gotta try the other variants of these creams too.